Among the countries that saw the biggest drops in poverty are Peru, Ecuador, Argentina, Uruguay and Colombia. Poverty increased only in Honduras and Mexico. Well, and there that whole unconstitutional coup thing. Those don't tend to help the poor. Quite sad, when the local population has to hope for a pact with gangsters in order to see holy relics without getting shot. Such is the case in León, Guanajuato. Al respecto de la seguridad, el Arzobispo José Guadalupe Martin Rábago dijo que las reliquias estarán seguras, y de los pandilleros dijo que no hay problema alguno. Estamos seguros de que se firmará el pacto entre los pandilleros y no habrá peligro alguno. Very notable is that the article never mentions political authorities at all. The church just negotiates directly with the gang members. Foreign Policy has a list of 10 stories you might have missed over the past year. This one is misleading: "Mexico's Drug War Moves South." It details how "Mexico's" war has started to hurt Central America. Until now, the cocaine itself has been processed almost exclusively where coca is grown in the Andean region of South America. But in March, the first cocaine-processing lab ever discovered in Central America was found in Honduras. In El Salvador, which has also seen its crime rate skyrocket, Sinaloa and the Zetas are believed to have established alliances with local gangs such as the infamous Mara Salvatrucha. This isn't just Mexico's drug war anymore. The problem is that this is a crisis that has moved northward, not southward. Coca is not grown in Mexico, and cocaine is not processed--yet, anyway--in Mexico. We're just seeing more balloon effect, dating way back to the 1980s in Bolivia. As long as demand remains high, then various aspects of drug trafficking move around the region, with the constant creation and destruction of DTOs, both large and small. Lastly, we always need to remember that drug demand in the United States largely fuels this, so it is not "Mexico's war" any more than it was "Colombia's war." Regardless, it did not start in Mexico and then flow south. So let's get this straight. European governments want Latin America (and the BRICS countries more broadly) to cough up hundreds of millions of dollars to the IMF to prop up Europe. However, they refuse to give those countries any more influence in the IMF. Now, as their economic weight increases, Brazil and the other so-called BRICS nations of Russia, India, China and South Africa, want reassurances that the IMF will push ahead with changes to quotas, which determine a member country’s voting rights and access to IMF funding. “We want to know the plans for the next steps in the IMF governance reform, which is the discussion on the formula for calculating quotas,” Carlos Cozendey, the Brazilian Finance Ministry’s international affairs secretary, said by phone. With many European countries still hesitant to yield power at the IMF, Lagarde will be unlikely to make specific pledges in her meetings with the presidents and economic officials of the three countries. Remember that Agustín Carstens had been pushed for the IMF position but lost. I would expect some hardball, though it might be almost entirely behind closed doors. Maybe a pledge of money now, with announcement of some sort of reforms in coming months? It is simply beyond bizarre that something so commonsensical and self-evident is now the object of scorn by the right. Should we be too surprised that Latin American countries can't agree on currency swaps or pooling reserves? The same logic about monetary union applies. The governments of the region get along quite well--which really annoys Alvaro Uribe--but are very hesitant to link their economic fortunes together too tightly. Indeed, coming to some sort of broad agreement would be a major accomplishment. There is always going to be a collective action problem (assuming, that is, that a collective approach is the best strategy, which I suppose is up for debate) but Latin America already has a long history of failing to establish regional unity. Luis Sepúlveda's The Shadow of What We Were (translated 2010) is a quick and funny (including a quick rant about café con piernas, which I had never thought of in political terms) novel about former militants in Chile trying to figure out their lives long after the Allende and Pinochet governments--which defined their very existence--are long gone. Sepúlveda himself was imprisoned for two years and then fled to Europe, where he still lives. He knows of what he speaks. They've lost their revolutionary fervor, but they still want to fight against the postauthoritarian protection enjoyed by those who ruled during the dictatorship, especially those--like Pinochet himself--who looted the treasury with impunity. So they remember the past and plot one last mission. There in the middle of the assembly, Coco Aravena felt euphoric. The commission for agitation and propaganda of the Marxist-Leninist Communist Revolutionary Party Mao Tse-Tung Thought, Enver Hoxha Tendency, which was very different than the liquidationist clique that called itself the Marxist-Leninist Communist Revolutionary Party, Mao Tse-Tung Thought, Red Flag Tendency, had commissioned him to read a resolution from the central committee, a resolution destined to change history (p. 98). The four men looked at each other. Fatter, older, bald or with graying beards, they still cast the shadows of what they were. "Well, are we in?" Garmendia asked, and the four men clinked their glasses in the rainy Santiago night (p. 110). The movie is Going in Style, a 1979 film with George Burns, Art Carney, and Lee Strasberg as old men who plan a bank robbery to "go in style." Even if Sepúlveda doesn't know the movie, I get the feeling he would appreciate it. Same type of dark humor, with the common theme of bank robbery to boot. Automatic registration was actually part of 2009 constitutional reforms, but Congress has not approved the law necessary to implement it. Here is a good summary. The upshot is that young Chileans don't register--not only is that typical of younger people, but the fines associated with compulsory voting give them an incentive not to register in the first place. Why register when you're going to be punished for it for the rest of your life? The new law would end that. Overall, some five million people, most of them young and not well off, would suddenly be more empowered than they previously were. That could have much more political impact than street protests. Electoral law doesn't seem as exciting, but it can be a game changer. En tiempos actuales, la democracia puede verse amenazada no tanto por quienes quieren imponer una tiranía, sino por la indiferencia y el escepticismo de los ciudadanos. Porque la automarginación de grandes sectores, equivale a dejar los asuntos políticos en manos de poca gente, y eso sí que debe preocuparnos. Yet two years later the "poca gente" have yet to release their grip. If Gingrich and Romney publicly argue over immigration, the DNC and Obama 2012 will do everything they can to reproduce this debate before college-educated white voters in Virginia, North Carolina, the Rust Belt and elsewhere. It's a perfect time, because the national electorate is starting to wake up and pay attention to the race. Now is the time when Mitt Romney, the guy who Chicago expects will be the nominee, is at his most tender, most doughy, and most mold-able. But I have not seen any evidence that college-educated voters--or very many people in any category--in North Carolina or Virginia will vote based on immigration. I know the media loves that angle, but polls never support it. I cannot see this affecting the race more than marginally in those states. I could be wrong, but my sense is that there are few eligible voters unaware of how the immigration debate is portrayed by both parties. Are there any voters out there who in coming months will say, "I wasn't sure before, but now I realize what Mitt Romney thinks about immigration and I am going to vote accordingly?" He notes studies of how there will be more non-white eligible voters in these states, but African Americans will not vote based on immigration, and the Latino electorate is currently extremely small in new gateways like North Carolina. So at least for now I see more smoke and less fire. Boz writes about the mentions of Hezbollah in Latin America during the Republican debate. Turns out the candidates' sole sources of information are Roger Noriega and José Cárdenas, both of whom routinely make stuff up (read that last link, where Noriega admits how much his argument is speculative). It is a classic case of unsupported assertions being repeated to the point that people don't realize the original argument provided little evidence. A bunch of prominent Republicans repeated it, so it must be true. What am I thankful for? Facts, accuracy, and arguments made in good faith, all of which are lacking here. The whole thing is a colossal waste of money. --Douglas Massey on immigration enforcement. Read the Economist article. "I don't see how the party that says it's the party of the family is going to adopt an immigration policy which destroys families that have been here a quarter century," Gingrich said at the CNN debate on foreign policy in Washington, near the White House. "And I'm prepared to take the heat for saying, let's be humane in enforcing the law without giving them citizenship but by finding a way to create legality so that they are not separated from their families," Gingrich said. The former House speaker said recent immigrants should be sent home if they are found out, but "if you've been here 25 years and you got three kids and two grandkids, you've been paying taxes and obeying the law, you belong to a local church, I don't think we're going to separate you from your family, uproot you forcefully and kick you out." Good for him. As I've written before about Perry, you can win the Republican nomination even without catering to restrictionism--immigration is not nearly as salient a topic as the media likes to claim. Gingrich has next to no chance of being that person, but in fact the view laid out above is pretty much identical to Ronald Reagan, who given many public statements on the matter would clearly disagree with the Republican base on immigration. These movements are sometimes described as neo-fascist. Some of them indeed are, and all of them embrace odious and intolerant views of one sort or another. But to dismiss them as fascist, and thereby safely rule them out of European political life, offers the liberal mainstream false comfort. Over the past few years populists have found ways to set themselves apart from a neo-Nazi ideology. Many support gay and women’s rights (all the better, they think, to bash the Muslims), and many are fervently pro-Israel. They are here to stay. Europe’s populists are not likely to form governments; they lack the votes and are completely unequipped for office. However, mainstream politicians do not know how to see them off. So their obsessions and their resentments have seeped into the debate, even among those who would never vote for them. 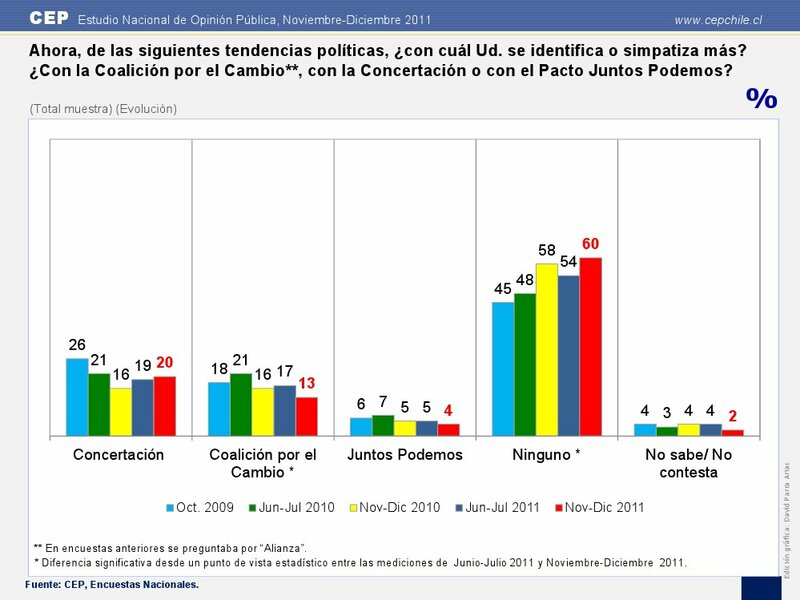 Latin American populism is predominantly leftist. Are the majority of European populists on the right, or are they just the attention-grabbers? Say all you want about left-wing populism, but the European right is more ugly, more dangerous, and more violent. So that's even more scary. Anyway, European populism is increasingly popular, as the article notes. Be as dismissive as you want, but when people suddenly lose their jobs, see prices of previously subsidized goods increase, watch their safety net evaporate, experience wage stagnation even when they're employed, and hear that this is shared sacrifice, then naturally the status quo loses its luster. Santos, who is visiting London to boost trade and investment in Latin America's third most populous country, said his biggest worry was "that the industrialised countries are not capable of taking the correct decisions and showing the world they can get out of their crisis". Asked what those decisions were, Santos said: "The same decisions that those same countries told us in Latin America to take a few years ago. Exactly the same ones." OK, but also remember that Latin American populism did not come of an economic vacuum, which is something no one seems to be discussing when they call for politically insulated technocrats to run economies and do "what's necessary." Those who call for structural adjustment in Europe should keep that in mind. Imagine a scenario where a government that used to be flush imposes severe austerity measures, thus prompting riots. It even decides to bring in the army. Then it turns out factions of the army aren't so happy with fat cat government officials enacting policies under international pressure that increase poverty. Some of those officers in turn try to overthrow the government. When they fail, one in particular decides to go ahead and run for president on a revolutionary platform. The ruling class is in such disarray and so delegitimized that it can't do much more than watch as he wins. In the absence of shock therapy, that sequence of events would not have occurred. For readers from academia, please pass the following along to anyone who might be interested. As Director of Latin American Studies, I am on a search committee for the Department of Africana Studies. The position is open to all humanities and social sciences. The Department of Africana Studies at the University of North Carolina at Charlotte invites applications for a tenure-track Assistant Professor position with specialization in the field of African Diaspora in Latin America to begin August 2012. The position is open to all disciplines in the humanities and social sciences. Applicants are required to have a Ph.D. at the time of appointment, show evidence of a strong potential for professional development as a scholar and teacher, and demonstrate commitment to promote diversity and community engagement as a value in the department and College of Liberal Arts and Sciences. Desired qualifications include interest in environment, health and/or digital humanities. This hire is one of two new positions in the Africana Studies Department and the Department of History, as part of an initiative to enhance the study of Latin America and the African Diaspora in the College of Liberal Arts and Sciences. The College currently houses and supports two scholarly associations dedicated to the study of Latin America: the Southeastern Council of Latin American Studies, and the Conference on Latin American History. The successful candidate will have his/her tenure home in the Africana Studies Department. He/she will teach undergraduate and graduate level courses in both Africana Studies and Latin American Studies, including courses in his/her area of research. He/she is expected to maintain regular high-quality publication, seek external funding, advice students, and contribute to the governance of the department and the university. The Africana Studies Department is an interdisciplinary academic unit focusing on the study of Africa and the global African Diaspora with emphasis on culture, history, social policy, and entrepreneurship. More information about the department can be found at http://africana.uncc.edu. Screening of applications will begin December 11, 2011 and will continue until the position is filled. Applications must be made electronically at https://jobs.uncc.edu (position #1501) and should include a cover letter, CV, and a writing sample not to exceed 30 pages. Three letters of recommendation should be mailed separately to Chair, African Diaspora in Latin America Search Committee, Department of Africana Studies, UNC Charlotte, Charlotte, NC 28223. Informal inquiries can be directed to the department chair, Professor Akin Ogundiran at ogundiran@uncc.edu or to the search committee chair at africana_studies@uncc.edu. The University of North Carolina UNC Charlotte is an urban research university, an Equal Opportunity/Affirmative Action employer, and an ADVANCE Institution. This is not a book about the Mexican national character, but about some of the country's most distinguishing origins or features, and their consequences. It seeks to explain why the very national character that helped forge Mexico as a nation now dramatically hinders its search for a future and modernity. The book is therefore simultaneously about and not about national character. This causes analytical problems all along the way. He notes something the colonial government did, says it is silly to claim Mexicans still follow the same patterns, then argues that they do. He really does not want to over-simplify a la Samuel Huntington or Lawrence Harrison, but consistently does so anyway. For example, Mexicans are bad at soccer and that helps explain why the Chiapas uprising went nowhere (seriously, that is not much of an exaggeration). There's more, such as the idea that Mexicans avoid confrontation and controversy, and so democracy has been very slow to take hold. There just seem to be so many counter-examples--AMLO in 2006 being a very prominent one. That was my reaction to much of the book. I also kept thinking about how the U.S. is considered highly individualistic yet has a different political and economic trajectory than Mexico. Thus, the independent variable is not convincing. It also complicates his conclusion, namely that emigration to the United States may help change Mexican culturally for the better: "it should be enough to detonate basic modifications in Mexican individualism" (p. 258). But how does one type of individualism detonate the other? Hispanics emerged as a pivotal vote in New Mexico, Nevada, Arizona and Florida in previous elections, but this cycle the Latino focus has extended to Missouri, Ohio, Virginia and North Carolina, where Hispanics grew by up to 90 percent in the past decade. Those swing states will not only decide whether Obama stays in office, they are also home to the nation's most competitive Senate races. The thrust of the article is that the Democratic Party will court the Hispanic vote. I will just comment on North Carolina. The problem with this argument is that it equates population growth with registered voters. In North Carolina, about 1.2% of registered voters are Hispanic. In my home county (Mecklenburg County), which went for Obama in 2008, that percentage was up a bit, to 2.2%. Any wooing that occurs will therefore be aimed more at the future than the present. Don't get me wrong--Democrats will spend money on Spanish-language media, etc. but from a hard-headed outcome-based perspective I wouldn't expect that effort to extend too far. This will change every year, and the Latino population in NC will become more politically influential. But in 2012 that population will not decide much. It is notable that the reporter did not actually ask anyone about North Carolina or Virginia, but just mentioned them without any evidence. In North Carolina at least, look for the Democratic Party and Obama himself to focus on the African American population. That population turned out at a higher rate than whites in 2008, which is remarkable and will be tough to replicate while the economy is in the tank. But he needs it. Bare knuckles or velvet gloves? Great question: in order to defeat Hugo Chávez in 2012, should the Venezuelan opposition presidential candidates bloody each other with bare knuckles in primaries rather than maintain unity by using velvet gloves? Juan Cristóbal Nagel says yes. Some commenters, including co-blogger Francisco Toro, say no. Others are in between. Juan argues that going at each other gets all the bad stuff out in public early, so everyone knows about it well before the general election. He notes that Barack Obama was hammered by Hillary Clinton but still won the general election. On the other hand, Americans are used to the system and Venezuelans have never experienced a presidential primary process. Will they react the same way? Theory: The divisive primary hypothesis asserts that the more divisive the presidential primary contest compared to that of the other party the fewer votes received in the general election. Thus the party candidate with the most divisive primary will have a more difficult general election fight. However, studies at the presidential level have failed to consider candidate quality, prior vulnerability of the incumbent president or his party, the national nature of the presidential race, and the unique context of each presidential election campaign. Once these factors are taken into account presidential primaries should have a more marginal or even nonexistent effect in understanding general election outcomes. Hypothesis: Including appropriate controls for election year context in a state-by-state model and creating a national model that controls for election year context, candidate quality, and the nature of the times should diminish the effect of nomination divisiveness on general election outcomes. In other words, it may not matter much. Administration officials say the goal is to focus enforcement on deporting people who have committed crimes. But the effort also has a political context. Obama has been criticized by Latino activists for deporting a record number of illegal immigrants even as the president has publicly called for reforms. With Congress unwilling to approve immigration legislation, administration officials have been looking for actions they can take on their own. As I've argued, it is highly likely that this is really all Obama has to offer, and it's not much.